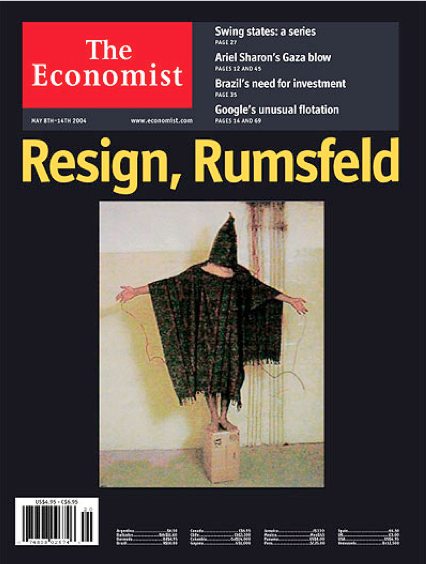 May 15 2008, this was the cover of The Economist. 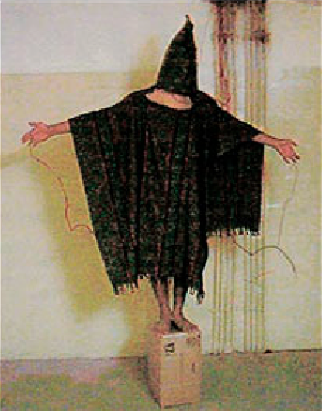 Pictures like this one taken by American soldiers in Abu Ghraib prison had been exposed and were taken to show that America used torture. But there was a whole series of pictures. 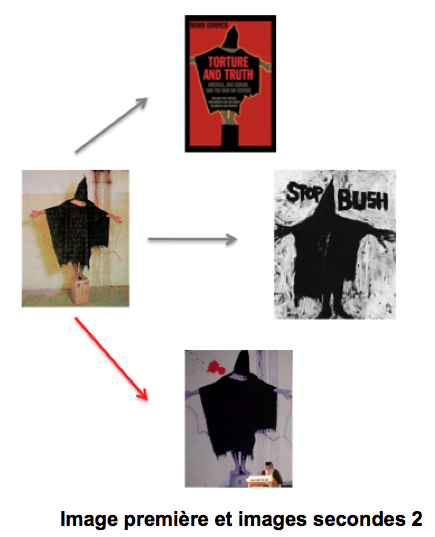 Why did this one make it to the cover of The Economist – and later become an icon of anti-torture-activism? I think that there are several reasons for this. First, the first picture is isolated, it is more iconic than a picture with more contextual information (a soldier looking at his photos). Second, the pose, with the arms held higher, is more Christianic, and thus stronger. But I believe the major reason is just the presence of pixels. It makes the picture look more authentic. The better the picture quality, the less the chances that a picture is non-professional, and the higher the risk of manipulation. If there are pixels, at least in 2008, then there is a chance that the picture is authentic. 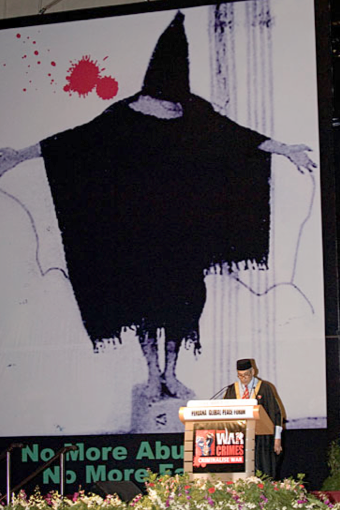 The picture had quite a career, both in politics and in arts. And below you see a collection of works related to this. But apart from the success in itself, I’m interested in what happened with the picture. It became more and more simple – and thus, I believe, more general and symbolic. 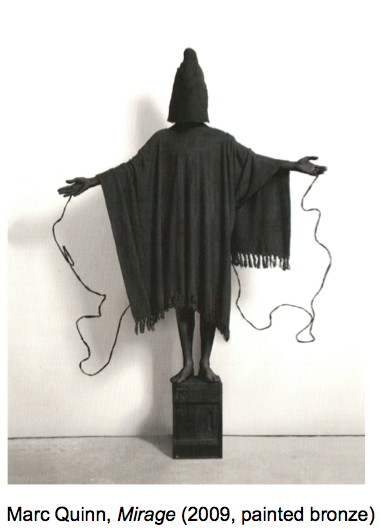 Whereas the photograph with the soldier still connotes one specific moment and prisoner, the abstract picture can evoke every prisoner being tortured. 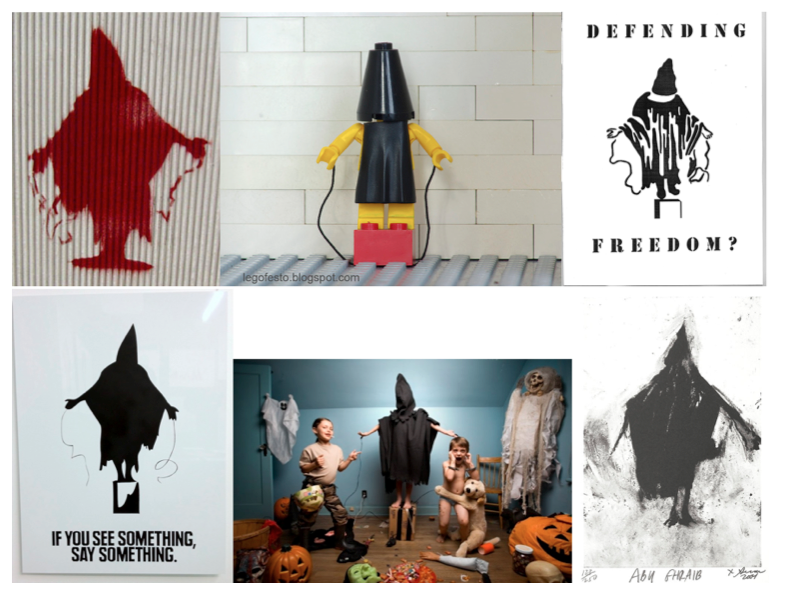 Richard Serra’s drawing (the last on the bottom right above and in the center right in the right image below and the second in the center on the left), is particular insofar as he brings back expressivity to the stripped down symbolic image. 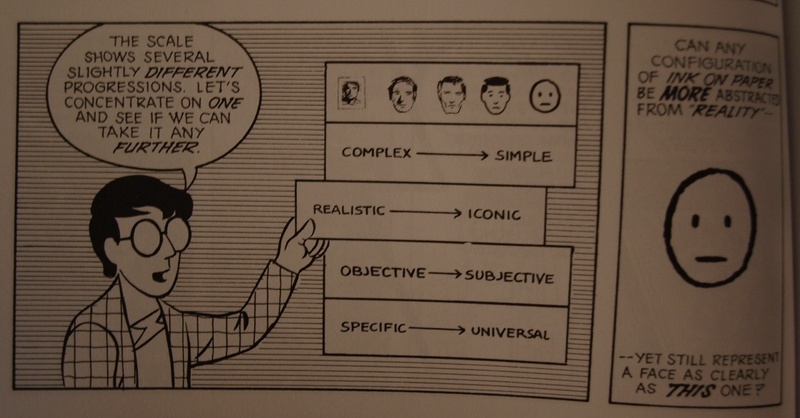 In order to account for the differences between these pictures, we can, I believe, distinguish different degrees of specificity, following a chain developed by Scott McCloud in “Understanding Comics. 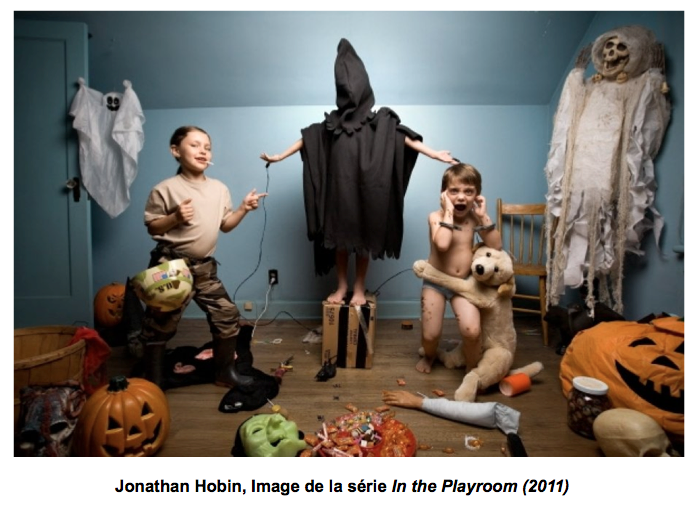 The Invisible Art”. McCloud draws different pictures, in order to show how pictures differ in their degree of generality. 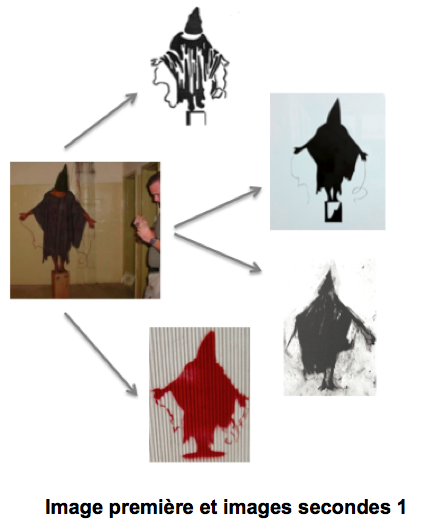 His system (see the three last pictures below) perfectly matches the Abu Ghraib imagery.